Hastings United Football Club will face Brighton & Hove Albion in round three of the Sussex Senior Challenge Cup. Albion’s under-23 development squad won 1-0 away to Bostik League Premier Division outfit Lewes in round two last night (Wednesday) to set up a last 16 trip to Bostik League South East Division high-flyers Hastings. A date for the match is yet to be confirmed, although the third round ties are due to be played by Wednesday December 5. East Grinstead Town are already through to the quarter-finals after winning 4-3 at home to AFC Varndeanians in the third round on Tuesday. Little Common’s game at home to Haywards Heath Town has been pencilled in for Tuesday December 4. 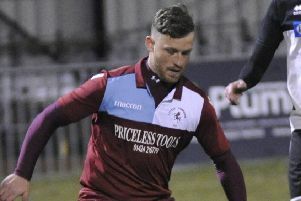 The Sussex Senior Challenge Cup is the last knockout competition Hastings remain involved in this season after exiting the Bostik League’s Velocity Trophy on Tuesday night. Remaining third round ties: Little Common v Haywards Heath Town; Hastings United v Brighton & Hove Albion; Pagham v Burgess Hill Town; East Preston v Chichester City; Bognor Regis Town v Three Bridges; Horsham v Eastbourne Borough; Eastbourne Borough v Worthing.